Providing you the best range of 2-channel striped cable protectors, 3-channel cable protectors, machine guards, half-round bumper guard, top load only package handling label and fragile do not stack labels with effective & timely delivery. Design 2-Channel stripped protectors keep electrical cables and hose lines from damage. Cable and hose protectors are used to protect the cables and hose on the road from moving vehicle. 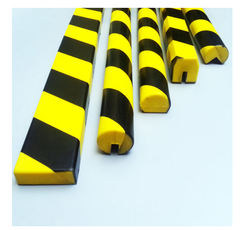 2-Channel Striped Cable Protectors is made from high-density rubber that can stand up to high traffic. It is also weather resistant and conforms to uneven surfaces. Usage Used to prevent cables and hoses on the street from damage by moving vehicles or climate. Cable and hose protectors are used to prevent cables and hoses on the street from damage by moving vehicles or climate. 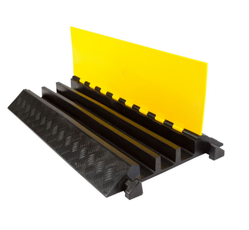 Rubber 3-channel cable protector is ideal for warehouses, machine and production areas, or any place where multiple loose cords and cables pose a problem. Stop dangerous tripping accidents, liability and damage to cables and hoses. Top opens easily to place cables inside or remove them. Machine guards protect facilities and machines from forklift damage by creating barriers between traffic areas and valuable assets. Machine guards shield against forklift damage. 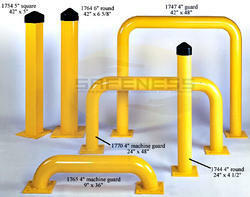 These are highly durable and long-lasting machine guards. 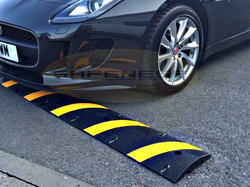 Bumper Guard help avoid property damage and promotes worker safety throughout the warehouse. It is made from recyclable Polyurethane foam to absorb the force of impact and gently bounces back. These Shipping Labels are used to display a message for the workers and hence guides them on how to stack the material. 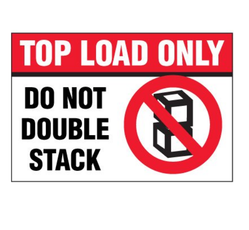 Package handling label reads: Top load only do not double stack. 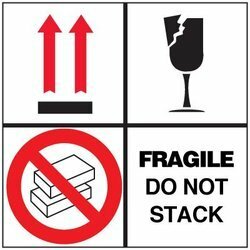 This Labels are used to send the message to the workers that the products that is being handled is vulnerable in nature .Ensure proper handling of delicate contents and fragile products. Instruct special care of your delicate packages with labels in bright colors and bold graphics. Usage Used as a warning to workers of heavy contents. 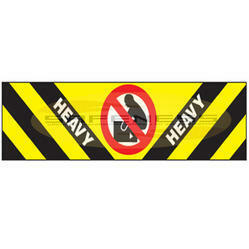 Heavy package handling labels are used as a warning to workers of heavy contents. Package handling label reads Heavy (no lifting symbol). 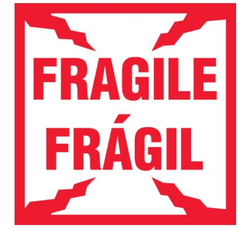 Bilingual fragile package handling labels helps to prevent damage during shipping.Bilingual package handling label reads Fragile fragil. 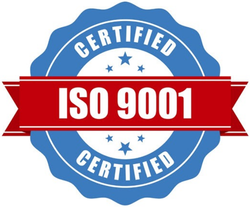 ISO certified package handling labels helps to single out the standarised products. It helps to prevent damage to the quality products that are fragile in nature. Package handling label reads: ISO certified. 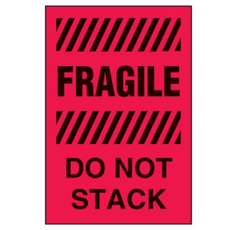 Package handling label reads: Fragile does not stack (with arrow up). DOT flammable liquids shipping labels are used to make the workers and employees at workplace aware of the flammable liquid so as to prevent the accident. It complies with the federal department of transportation regulations. 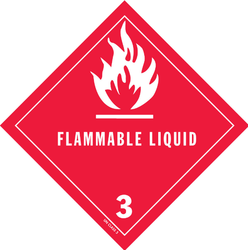 DOT shipping label for hazard class 3 flammable liquids. Usage For hazard class 2 flammable gases - oxygen. DOT oxygen shipping labels comply with federal department of transportation regulations. 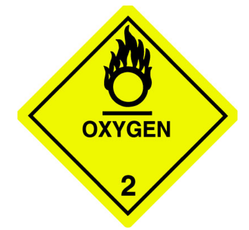 This DOT shipping label is for hazard class 2 flammable gases - oxygen. Feature Protects concrete bases and columns. 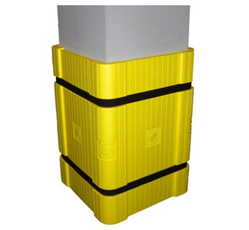 Square column 24" x 24"
Concrete Square Column Padding is very useful at places where there is a danger of column edge to get damaged. Concrete column padding protects concrete bases and columns. Looking for Warehouse Protectors & Guards ?